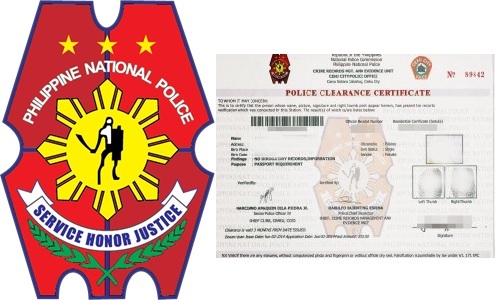 Philippines – Police Clearance is a document or certificate issued to a certain applicant which checks his/her background records by the assign police in the City Municipality to determine if there’s any criminal record? Applicants with clear or no records will issue a Police Clearance Certificate as a certification of a good citizen while applicant with records will be denied of the application and even charge of criminal liability if proven guilty? Before applying for Police Clearance, there are two requirements that must acquire firsts by the applicants in the Barangay where he/she lived before going to City Hall. 1. Barangay Clearance – is an early checking of applicant’s background records. Its certify the correct name, address, length of stay, date and place of birth, status, age and the purpose of applying Barangay Clearance? If all the details are correct applicant with no records will be successfully issuing a Barangay Clearance. The current cost for Barangay Clearance is only P20.00. 2. Community Tax Certificate (CEDULA) – CEDULA can be acquired either in the Barangay or in the City Hall in your area, just simply present your Barangay Clearance and payments amounting to P12.00 pesos only. 2. Get and Pay for Official Receipt (OR) at the City Hall. OR is amounting to P10.00 only. 3. After having OR go to the area where the Police Clearance Certificate is issuing at the City Hall. 4. Step 1 - Ask for application form, fill up all the details in all capital letters and must be clear. 5. Step 2 – submit the complete requirements together with the finished application form and pay P160.00 as the service fee for Police Clearance. 6. Step 3 – wait for your numbers to be called for picture capturing. 7. Step 4 – and finally wait for your name to be called again for the issuing of Police Clearance Certificate. Take Note: Check all the details if correct before leaving the Police Station. If any mistakes it will be corrected immediately. Applicants applying for travel abroad must bring their valid NBI Clearance while applicants new in the area where he/she applying for Police Clearance must acquired first Police Clearance Certificate in their area. Correct attire when applying for Police Clearance. 1. Where presentable dress or t-shirt with collar. 2. Don’t wear shorts, wear pants. 3. Don’t use slippers, wear a shoes. 4. And don’t forget to bring all the requirements to avoid hassle of getting back at your Barangay. No Comment to " How to Get or Apply for Police Clearance "